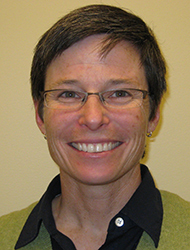 Dr. Cullen is a core clinical faculty member at Bastyr Center for Natural Health, where she supervises students in the Department of Naturopathic Medicine and at the community care site at Edmonds Senior Center. She is also the chair of the Department of Clinical Sciences at Bastyr University, where she teaches an advanced gynecology course. Dr. Cullen also maintains a private practice focused on women's health and is the co-developer of Vitanica Women Sport, a line of supplements. Dr. Cullen's practice focuses on her interest in all aspects of women’s health. She incorporates evidence-based medicine and standards of practice in her patient care. Dr. Cullen has several years of experience in evaluating and managing female health conditions including menstrual disorders, vaginitis, cervical abnormalities, infertility and contraception management including IUD placement. She also performs annual physical exams for men and women of all ages. Dr. Cullen also likes to discuss wellness practices such and diet and exercise programs for health management or weight loss. Dr. Cullen also has a Masters of Science in clinical exercise physiology and has worked in cardiac rehabilitation and employee wellness programs. Dr. Cullen completed residencies at both Bastyr Center for Natural Health and at the teaching clinic of National College of Naturopathic Medicine (NCNM) in Portland Oregon. Dr. Cullen has completed thousands of hours in continuing medical education, primarily in the area of gynecology. She co-developed a line of female health supplements. Also has several years experience working in clinical exercise physiology settings. Dr. Cullen received a BS in Exercise Science from Montana State University in 1987 and an MS in Clinical Exercise Physiology/Cardiac Rehabilitation from Eastern Illinois University in 1989. She received her ND from Bastyr University in 1998. Dr. Cullen developed and taught an advanced gynecology elective series for 10+ years.